Jehina Malik is the first Vegan Since Birth IFBB Pro Physique bodybuilding champ. 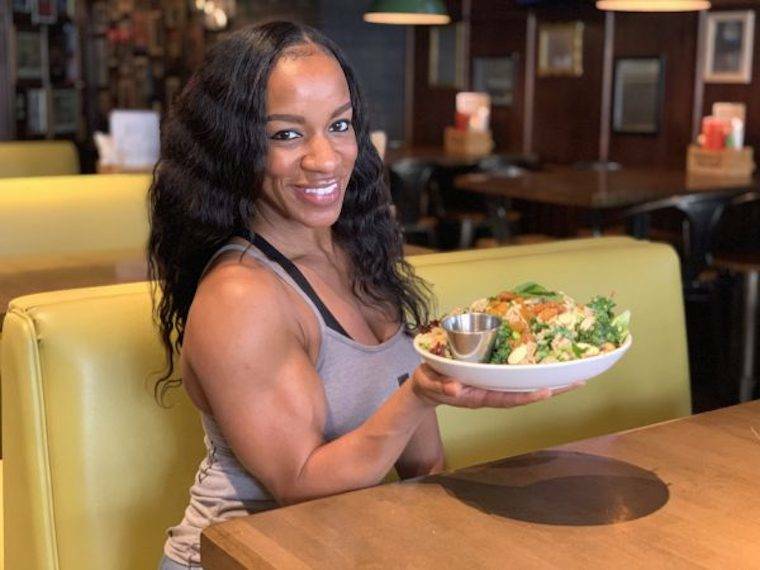 Jehina Malik is the first Vegan Since Birth IFBB Pro Physique bodybuilding champ! Jehina is known for overcoming serious challenges to win medals in the bodybuilding world! Yes, you heard right! Jehina has been a vegan since birth thanks to her parents being ahead of their time. Her parents have been vegan since before she was born and raised her and her six siblings as vegans. They even grew their own vegetables! Looking at Jehina, you can tell she does not have a protein deficiency of any kind. Her body is rocking! We can’t imagine her more fit but she says when she is preparing for a show she is even more chiseled. Wow! Even more unbelievably she wasn’t able to work out for a year after she was hit by a car in a terrible accident. She says her vegan diet helped her to not to gain too much fat because she was unable to work out during that time. She went through a slow, painful recovery process but now she is back on top flexing her vegan muscles for all to see! Today, Jehina tries scrumptious avocado toast at Beelman’s. Jane opts for the pub’s popular Impossible Burger, and she substitutes salad for fries to make it a tad healthier. The best part about Beelman’s is that it is 100% plant-based! You can come down to this pub and get all the drinks you want and enjoy their delicious food without hurting any animals! Stop by Beelman’s Plant-based Pub next time you can make it to Downtown Los Angeles!